Is An All-Inclusive Service Agreement Right For You? At Diagraph Marking & Coding, we believe that service interventions should always be planned, never a surprise. This is why we like to work with customers to get out ahead of wear-caused failures, giving them the ability to decide when service will be done around their own production schedules. Diagraph Marking & Coding focuses on partnering with customers in every aspect of their coding and labeling operations, including working closely to develop a unique supply strategy that ensures our customers have the appropriate coding and labeling supplies on hand for when they need them. Products containing animal milk are on a constant time clock. Cows must be milked every day, meaning it is possible for dairy operations to be running 24/7 to get products with under a 20-day expiration period out the door and onto shelves. In these fast-paced manufacturing environments for fluid milk, cheese, yogurt, butter and ice cream products, there are several reasons that impact the method and features required for achieving legible marks and labels onto packaging. No one wants to risk their health or the health of their family by bringing home dairy products with indistinguishable expiration dates. Regardless if your dairy plant produces fluid milk, cheese, yogurt or ice cream, if your product does not have a legible expiration date on it chances are your product will remain on grocer’s shelves. Is a Product Identification Site Audit Right for Your Facility? Our customers that realize the most value over the life of their coding and labeling equipment utilize some level of support from our factory-trained field service engineers. We fundamentally believe that service interventions should always be planned, never a surprise. With our flexible service and support options, we put customers in the driver’s seat of deciding when service will be done around their own production schedules. Not having what you need for your coding and labeling equipment when you need it can put a halt to production. This is why we recommend taking a proactive approach to the supplies you need to keep your equipment up and running in tip-top condition. The result? 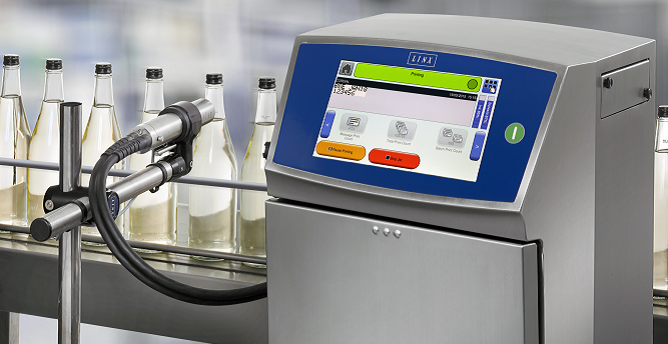 Your coding and labeling operations run like a well-oiled machine, with the right amount of consumables at the ready based on your production and the right parts on hand leading up to preventive maintenance actions. What is the Diagraph Uptime Advantage? As a key component in our Diagraph Solution Center model, the Diagraph Uptime Advantage focuses on delivering more uptime through our products with minimal intervention requirements. We believe that our coding and labeling solutions should be the least of your worries. This is why our equipment solutions are built to withstand the toughest of manufacturing environments and consistently produce high quality marks – print after print after print. To help our customers combat this growing issue, we are introducing what we call Diagraph Solution Matching Services. We will partner with you to conduct a complete site audit at your facility or, for larger customers, your family of facilities to pinpoint opportunities where slight changes in coding operations can provide valuable benefits. In the process of celebrating our past, we couldn’t help but look to the future. How are we going to write the next chapter in our 125-year-old story? This is a question that we asked ourselves leading up to this important anniversary. One thing we know for sure is that this chapter is not being written without the direct involvement of our customers as we have turned to them to help us chart a new course. No longer is it the case that snacks are packaged specifically for children’s lunch boxes. Today, the snack market is heavily geared towards adults with 94% of adults snacking at least once a day and 50% snacking 2 to 3 times a day. * Snack producers are tasked with changing traditional packaging to address a different kind of consumer. Are You Ready to Automate Date Coding on Your Ready-to-Eat Products? Fast-paced lifestyles of the working class and a growing number of Millennials demanding on-the-go options are two contributing factors to the rise in the ready-to-eat (RTE) prepared foods market with a projected CAGR of 7.2% between 2016-2026 With the versatility of the packaging substrates and forms for RTE products, we are outlining some key considerations to keep in mind for date coding to still achieve demanding throughput goals. Shipping products using wood packaging and dunnage between countries is a process regulated by the International Plant Protection Convention (IPPC). Wooden materials like pallets and crates can potentially carry diseases or insects from one country into another where an infestation would negatively impact the ecosystem. Composed of 175 member countries, the IPPC has established requirements around the treatment of wood packaging leaving and entering their countries to prevent infestations that could be harmful to their local plant life. Diagraph is pleased to announce the launch of the Linx 8900 Plus Series – an advanced range of color contrasting inkjet technology that provides the highest levels of printer reliability and ease of use. Enhancements in printhead design and pigment particle dispersion in the Linx 8900 Series prevent common clogging issues associated with inkjet systems when using color soft pigment-based inks. According to a recent PMMI Business Intelligence Report, the meat, seafood, and poultry packing industries are experiencing “a global boom” due to several factors including import and export opportunities expanding into new markets, growth in foodservice, and growth in ready meals. Food producers are rapidly moving to automate processing and packaging to be prepared to meet increased demand and be flexible enough to adapt to changing product coding requirements. Selecting ink for your inkjet technology – impulse jet, valve jet or thermal jet – requires an understanding of your application and some basic qualities of the inks available. We asked our inkjet experts for key information to help shine some light on understanding the ink options available in the market. Diagraph’s customers have spoken and they prefer the Linx 8900 continuous inkjet printer for their date, lot and batch doing needs! Customer feedback cited several reasons that the Linx 8900 model is their top choice. A number of factors contribute to the drastic rise in SKUs, like company acquisitions and portfolio merging, flavor variety, count variety and retailer-specific case sizes, to name a few. Managing an increasing number of SKUs is costly for snack food manufacturers, especially when a bulk of them only contribute a small portion to their bottom-line profit. Increasing in popularity among big box chains is retail-ready packaging (RRP). A retail-ready package refers to secondary packaging that is branded appropriately to be able to move to retail shelves in a quick, “one touch” movement. 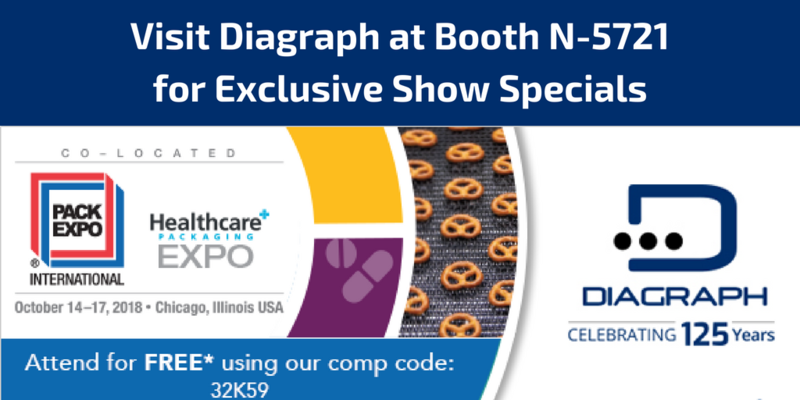 Diagraph is offering exclusive show specials for PACK EXPO Vegas attendees who have their badges scanned at Booth C-4010. No Time to Train Production Line Workers in New Technology? No Problem. Companies rely on engineers or technicians to keep production lines up and running. These job functions are essential to hitting production targets, so it is key that their skill level on equipment is proficient. When making the decision to replace this equipment, the amount of time and money that will have to be invested in training your labor is a major deciding factor. What Makes a Good Spare Industrial Inkjet Printer? Downtime in your production simply isn’t an option. But at any moment, an unpredictable event can arise like low ink levels, maintenance and clogging, putting your operations on hold anywhere from an hour to an entire shift. So how do you prepare for the unexpected? One option that we see put into practice by many customers is the investment in a spare inkjet printer – a reliable, on-hand system that can quickly be fired up on a production line when your regular systems suddenly quit. 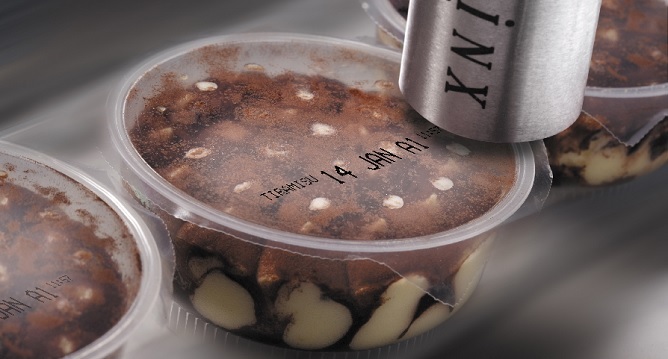 Continuous inkjet (CIJ) is the technology of choice for food packaging coding as the solvent based inks adhere to a variety of materials like cartons, plastics, films, foils, metal and glass. CIJ is ideal for food packaging in that it offers high speed, non-contact small character printing and enables food processors to incorporate inkjet codes into their functional safety and traceability processes. Two common automated marking and coding solutions for food packaging are continuous inkjet and laser coding. Which solution best fits your application is dependent on a number of factors. All food and beverage manufacturers have a commitment to efficient operations and strive to increase output with maximum uptime. Many of these manufacturers require variable information such as lot or batch codes, expiration dates, or barcodes on their product and make use of Continuous Inkjet (CIJ) to achieve these required codes. If you’re a manufacturer integrating traversing CIJ and thermal transfer overprinters in your form, fill and seal machines, consumables contribute to your total cost of ownership in a major way. Many companies, especially in meat and dairy processing, struggle with the requirement to mark variable information onto slick packaging. Linx Printing Technologies is launching two laser coders that will open up the benefits of laser technology to more companies and applications. Key benefits of the new Linx CSL range are even faster printing speeds and greater versatility, making the coders ideal for a wider variety of products. Quicker and easier installation and set-up help to make laser coding simpler and more accessible. Which is a superior labeling power source — pneumatic air or electric? There is a great debate in the packaging technology industry around the core driver. Are Your End of Line Preventative Maintenance Costs Stacking Up? Preventative maintenance measures can help lower the rate of manual interventions and part replacement, saving you in the long run and keeping your line running efficiently. The meat packaging industry has coding and traceability requirements similar to other food industries, yet the cold and humid environments indicative of the industry can pose additional challenges for packaging equipment not experienced in more temperate facilities. If labels don’t properly contact the carton in your case labeling application, it requires rework and wastes label stock - costing you time, money and throughput. To accommodate the demand of retailers, manufacturers are doing shorter runs of customized products resulting in as many as three product changeovers on each line in a single shift. Ease of serviceability was a common pain point expressed by customers at this year’s PMMI Annual Conference “The Customer Speaks — OpX Leadership Network Panel”. Manufacturers are experiencing frequent turnover, making it difficult to keep a staff knowledgeable, up-to-date and skilled on their equipment. Once your packet is coded, sachet or stick pack packaging requires a specialized system to form the packaging receptacle, fill the product into the packet, and seal the ends to secure the product for transport. These systems are known as FFS - form, fill, and seal machines - and they come in two different varieties: (1) Vertical (VFFS) and (2) Horizontal (HFFS). 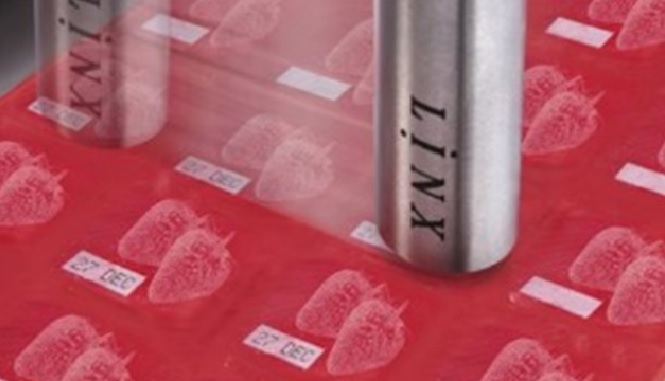 Companies using non-contact high speed Continuous Inkjet (CIJ) technology to mark information (including expiration dates) on their product may not be aware that a key component of their marking system – the fluids – also have expiration dates. The latest Continuous Inkjet Printer from Linx Printing Technologies, the 8900 Series, reflects the fundamental Linx design philosophies of Ease of Use and Reliability and is supported by the MK11 hermetically sealed printhead that protects all critical components during operation and cleaning.